In a bowl, take 1 cup wheat flour. Add 1 tsp salt. Now add ¾ cup curd/dahi gradually. Knead soft dough and keep aside to rest. In a mixer, add ½ cup sprouted moong daal and grind it for 30 sec. In a bowl, take ground moong dal, 1 cup scrambled paneer and mix well. Add ½ tbsp salt, 1 tbsp coriander powder, 1 chopped green chili, ½ tbsp. grated ginger, 1 tsp amchur powder, 1 tsp garam masala. Mix well. In a pan, heat 1 tsp oil. Add 1 tsp mustard seeds, 4-5 chopped curry leaves. Fry for few seconds. Turn off the gas. Add this mustard curry leaves tadka in paneer sprouts mixture. Combine well. Roll out a portion of the dough into a small puri. Put 2 tbsp stuffing in the center and fold the sides to the center and seal it. Again, roll out into a paratha using a little flour. 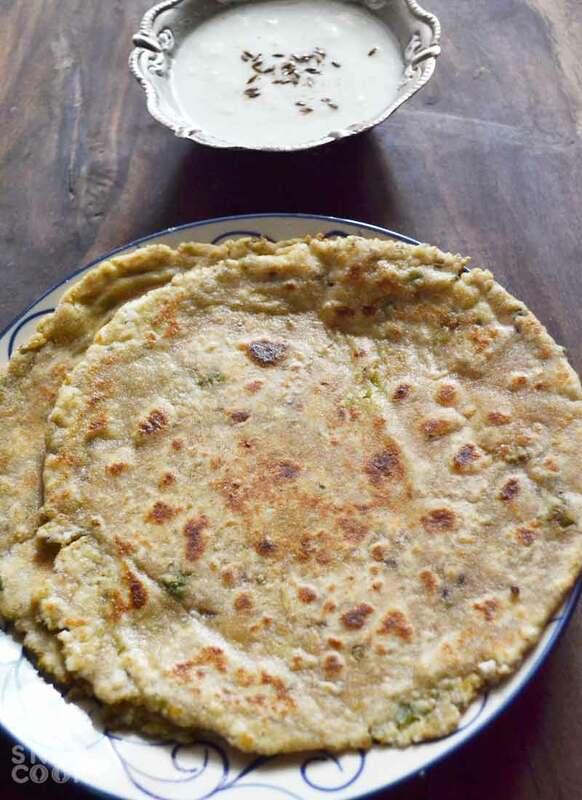 Cook the paratha on a non-stick tava (griddle) using few drops of oil till both sides are golden brown. Repeat with the remaining dough and stuffing to make more parathas. Serve hot with curd. Paneer Paratha mixed with Sprouts and a very little oil makes a very healthy paratha. Yes If you love parathas and think it’s unhealthy, let’s make a healthy version of our super healthy Paneer paratha mixed with moong dal sprouts. 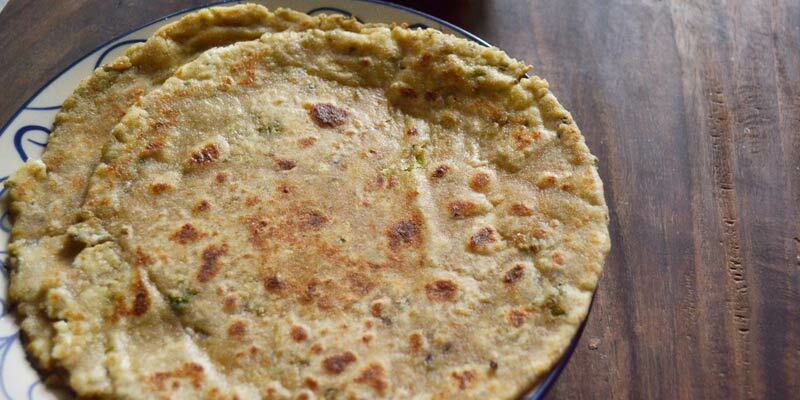 So if you are looking for a diet paratha or a healthy paratha for breakfast, then you will love this one. In a bowl, take grinded moong daal, 1 cup scrambled paneer and mix well. Add ½ tbsp salt, 1 tbsp coriander powder, 1 chopped green chilli, ½ tbsp. grated ginger, 1 tsp amchoor powder, 1 tsp garam masala. Mix well. Roll out a portion of the dough into small puri.